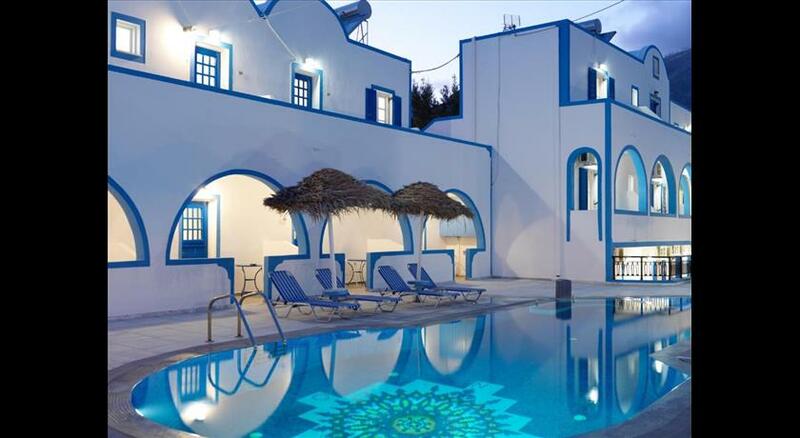 This family run hotel offers friendly and hospitable accommodation in Perissa. Ideally located only 20 metres from the bus stop, Petra Nera is just 400 metres away from the beach of Perissa . Petra Nera offers 18 rooms with private balcony overlooking the hotel’s swimming pool. Each room is equipped with free wireless internet. Guests can start their day with a rich continental breakfast served at the breakfast room. Later in the day, guests can go to the nearby Perissa beach or relax by the poolside and enjoy light snacks and beverages served by the pool bar. 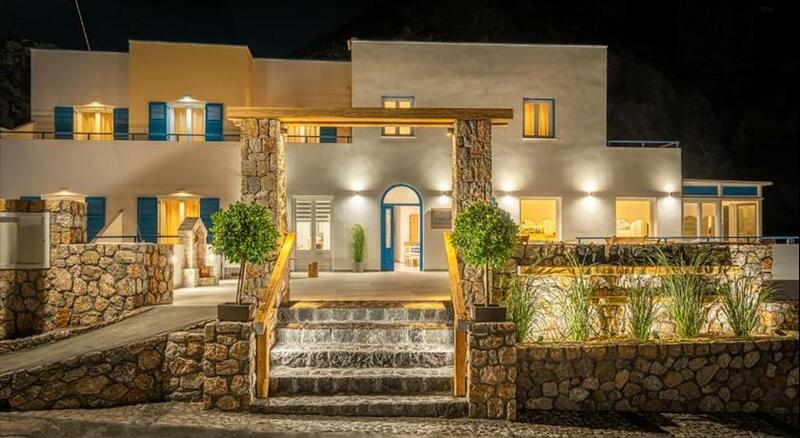 Perissa is conveniently located 10 km from Fira and 15 km from the port. Petra Nera enjoys good transport links and offers free parking. Car and motorbike rental services are also available. All children are welcome. All children under 5 years stay free of charge when using existing beds. All children under 5 years stay free of charge for children's cots/cribs. All children from 6 to 12 years are charged 50 % of the room stay per night per person for extra beds. All older children or adults are charged 100 % of the room stay per night per person for extra beds. The maximum number of extra beds/children's cots permitted in a room is 1. Please inform Petra Nera in advance of your expected arrival time. You can use the Special Requests box when booking, or contact the property directly with the contact details provided in your confirmation.